Back to my second treatment at Skin Gym Laser Centre. 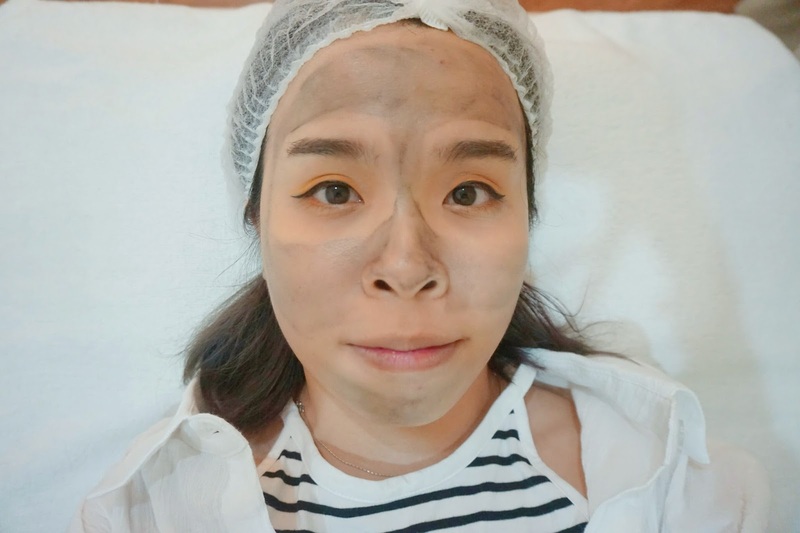 If you have not read about my first Laser Treatment with Skin Gym Laser Centre, read it here now. 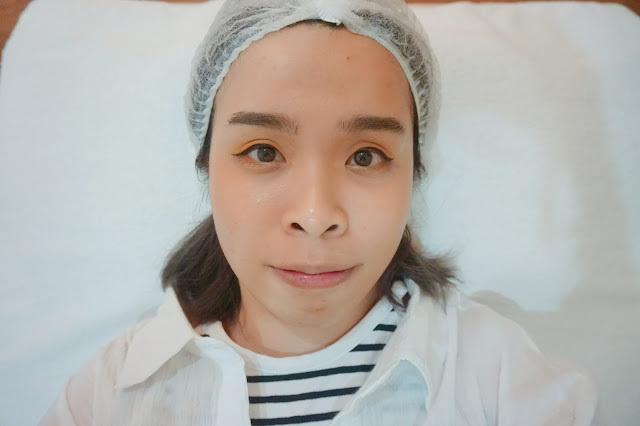 During my first visit, I tried their Carbon Peel Laser Treatment, which they apply the carbon peel all over my face. This time around, we are going for Q-Switched Laser Treatment, one of their signature laser treatment they have. Skin Gym Clinic and Medical Spa is a one-stop center for all your aesthetic needs. As one of Malaysia’s emerging aesthetic clinics, Skin Gym Clinic always believes that everyone deserves to be beautiful from the inside out. 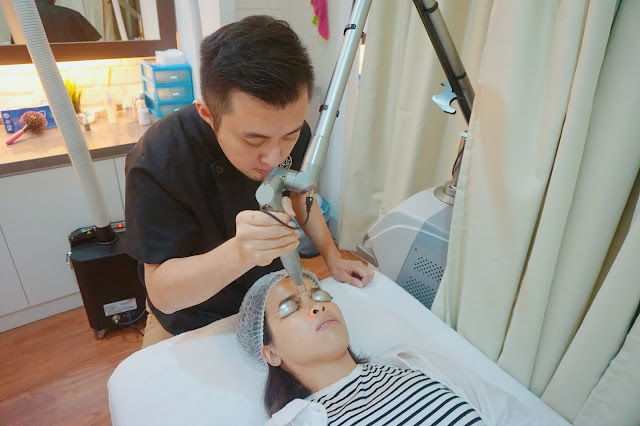 All of their team are fully trained and certified doctors from Singapore will attend to your versatile needs from simple services to long, comprehensive treatments. 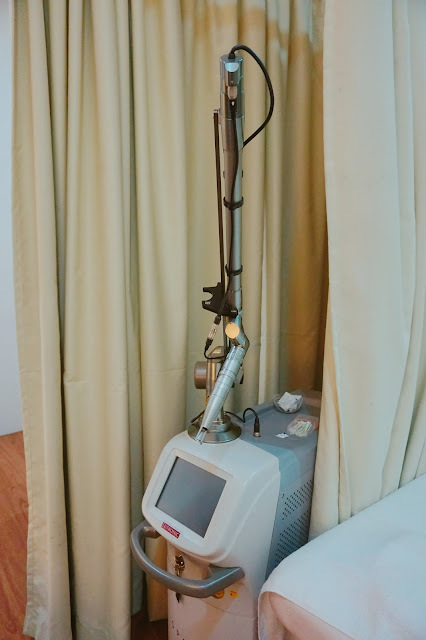 Also, My Skin Gym always brings the latest technology in aesthetic medicine to ensure most up-to-date procedures and services for fast and effective options, readily available for their customers. What is their signature laser treatment? 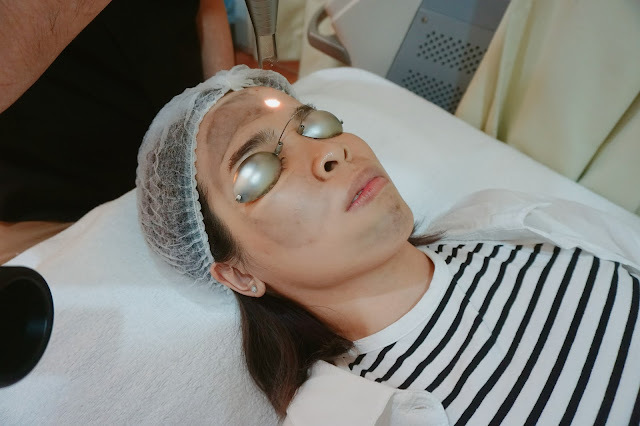 One of their signature treatment which is the Q-Switched laser treatment, which addresses and improves the 3P's of the skin - pimples, pores, and pigmentation by using technologically advanced lasers that deliver pulses of light quickly with intense energy. Q-Switched laser treatment shrinks the oil glands so they secrete less sebum. This means your skin is less oily and experiences less blockage hence fewer pimples. 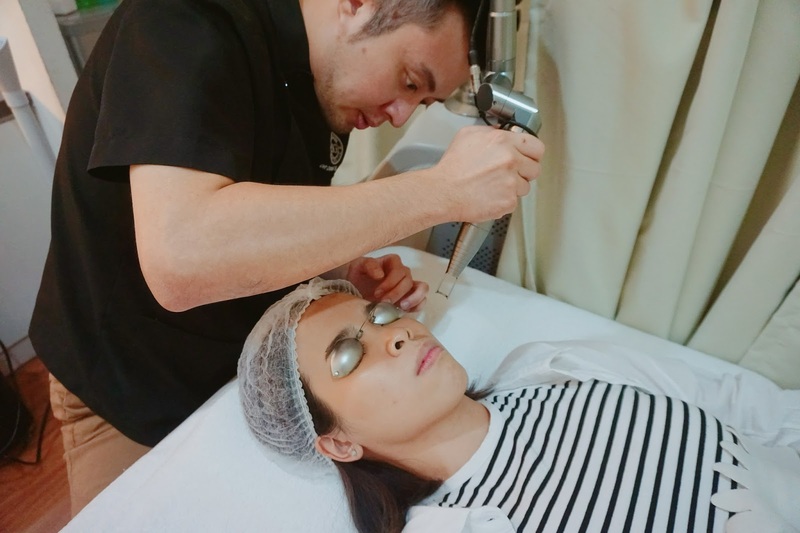 Not only that this treatment also helps refines the pores by stimulating the production of collagen and cells of our skin, this helps speed up the recovery of our acne scars as new cells replace old ones. This Carbon Peel and Q-Switched laser are suitable for normal skin types which aim to improve skin texture and restore radiant complexion for your face. 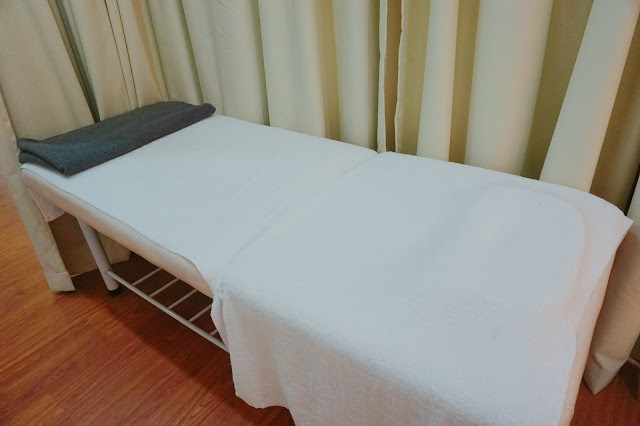 In Skin Gym Laser Centre, they also prepare a really comfy bed for you to lay on and enjoy your laser treatment experience! 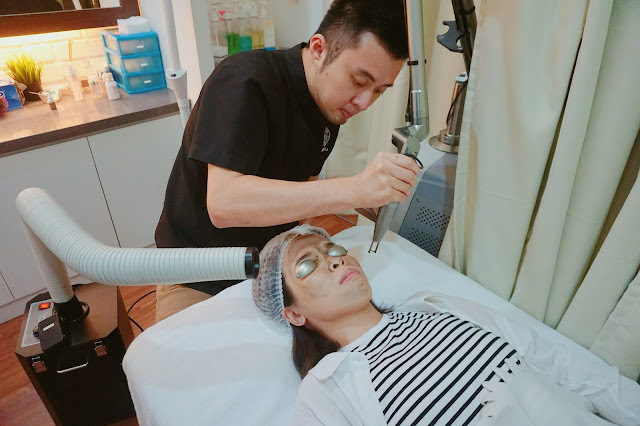 Unlike the previous Carbon Peel Laser Treatment, Q-Switched Laser Treatment focuses more on your T-zone area and acne prone area. It gives the instant effect after the treatment, which is perfect for people who want for oil-free face and healthy complexion skin at the night for party and event! No downtime for this treatment, just put on your makeup look for your night event after treatment. 1. 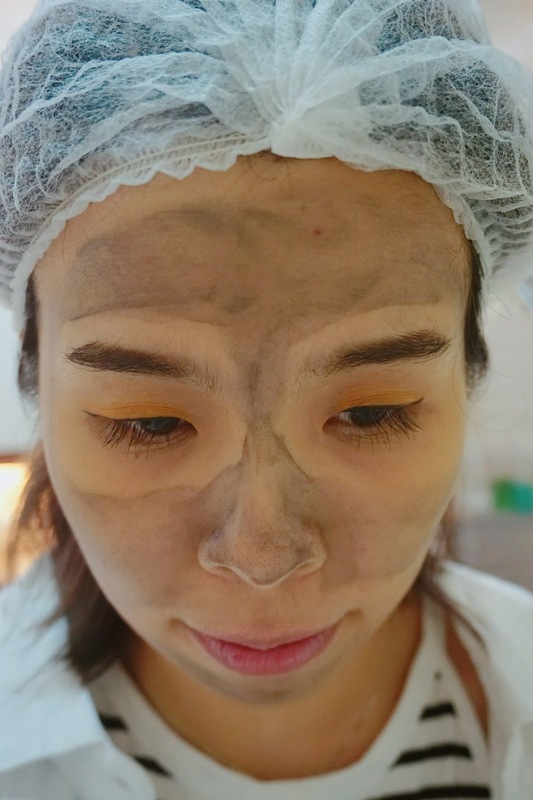 Starts with a clean and bare face before starts the laser treatment. After my 1st time visit, I did not feel the anxious and nervous feeling anymore. 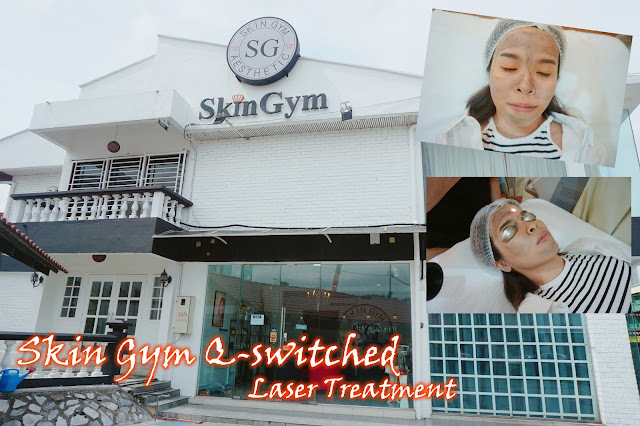 I have more trust in Skin Gym Laser! 2. Apply a thin layer of carbon lotion, this lotion helps to clean your pores and better oil control on your face. 3. After applying the thin layer of the carbon lotion, we can straight away proceed with our treatment. No waiting time after applying due to the thin and light layer of carbon lotion on our face. Top: Apparently my left side cheek tends to have more breakouts and redness around that area. Bottom: Not forget my forehead which left a lot of acne mark too. Today consultation doctor will be Doctor Ding, the Founder, and CEO of Skin Gym Laser Centre. He patiently explains to me that he will focus more on my left cheek and my forehead that is usually where acne will pop out on my face. 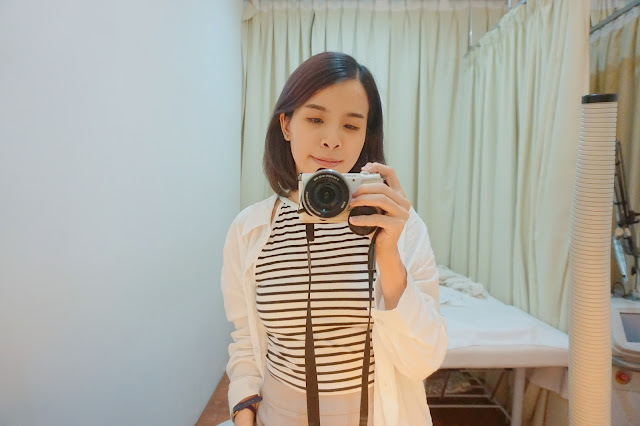 My second experience with laser no longer strangers for me, I feel more relax and chill throughout the laser treatment. Same as the first Carbon Peel Laser Treatment, we go through the first layer of the laser is to heat up and boost the productivity of our collagen cells on our face. The look of the tube vaporize. 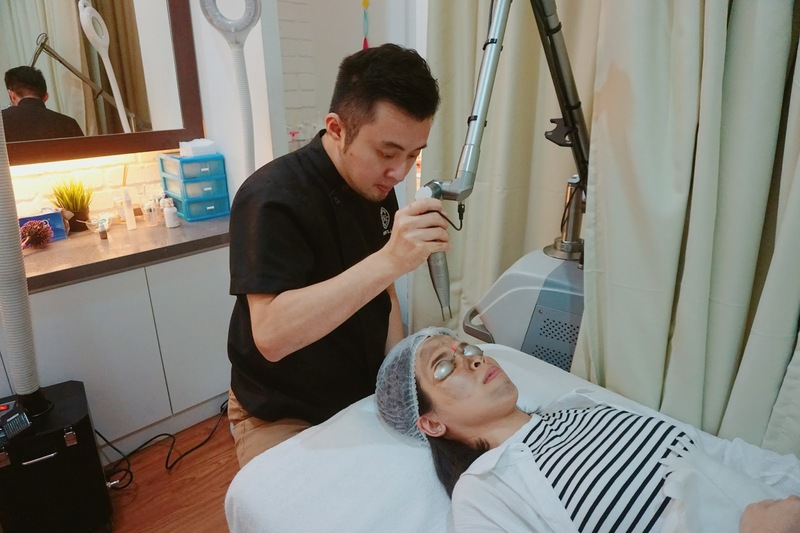 The second layer of the laser will tend to be stronger and more heat as it will focus on your T-zone Oily area and acne prone area. This is to help clean and shrinks your pores. If you have smaller and clean pores, you will have better oil control all over your face and fewer acne breakouts too. Upon the last round of laser going through my face, it cleans and clears the carbon lotion even more. Remember about my upper lips hairy situation, I have lesser pain for that area too. Complete my Q-Switched Laser Treatment with Dr. Ding! I can feel my skin achieve that glowy complexion, and my acne prone area is fader too. Love this super huge mirror in the laser area! 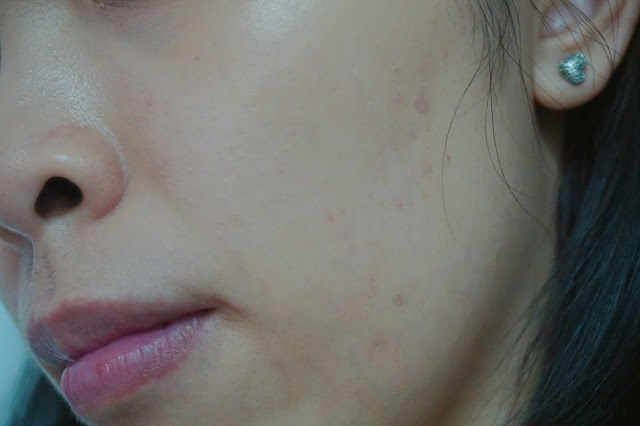 I will show you guys hows my left cheek acne prone are had dramatically improved after this Q-Switched Laser Treatment. 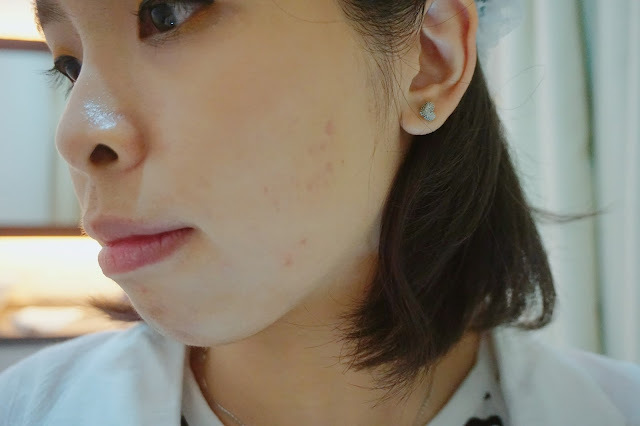 One of another reason that makes the acne mark improves also is that I change my new facial cleanser too after realizing that it was one of the main cause of acne pop out on my cheek! Acen marks before the laser treatment. The acne prone area is so red and also still swollen as well. The next morning, I can see the redness of the acne mark is faded. No more big swollen red acne mark around my cheek. There's still slight acne mark remaining. The third day after the treatment. 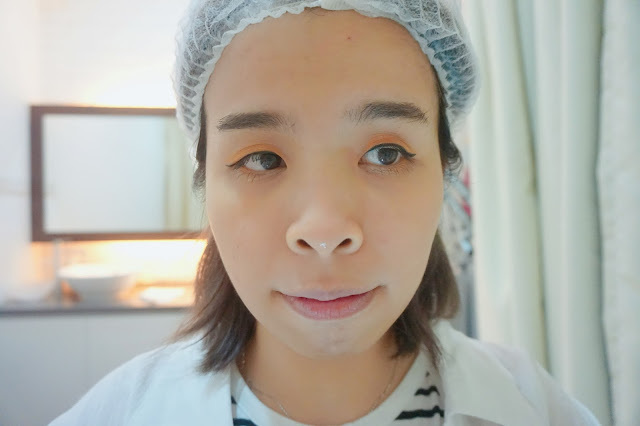 Continue on applying facial mask and moisturizer on my face for continuous days after the treatment. Results after 7 days, I can see the acne marks has almost faded. 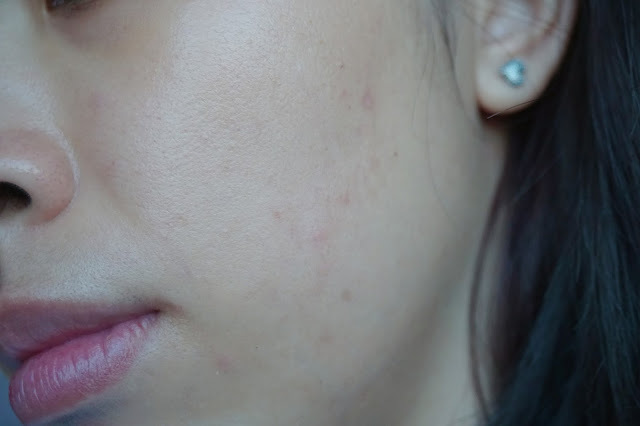 No more acne redness on my cheek and I was really happy with the results. 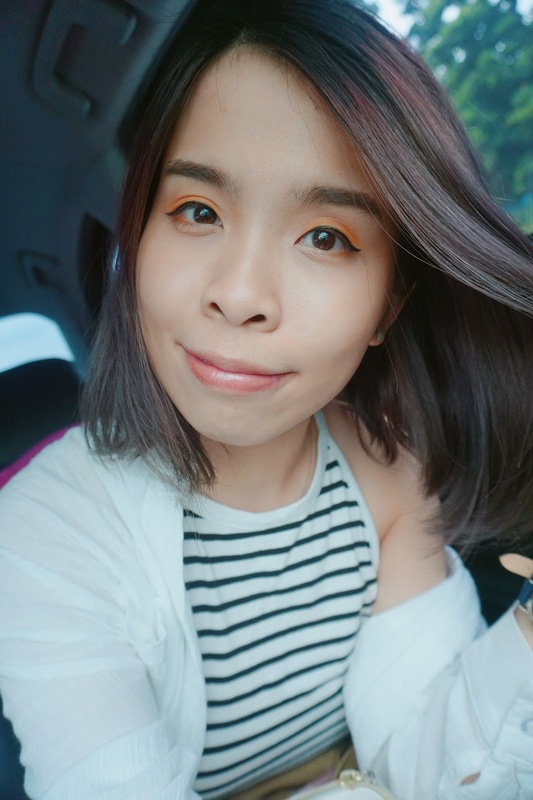 Since I have changed to new cleanser, my cheeks have been behaving nicely till now also! 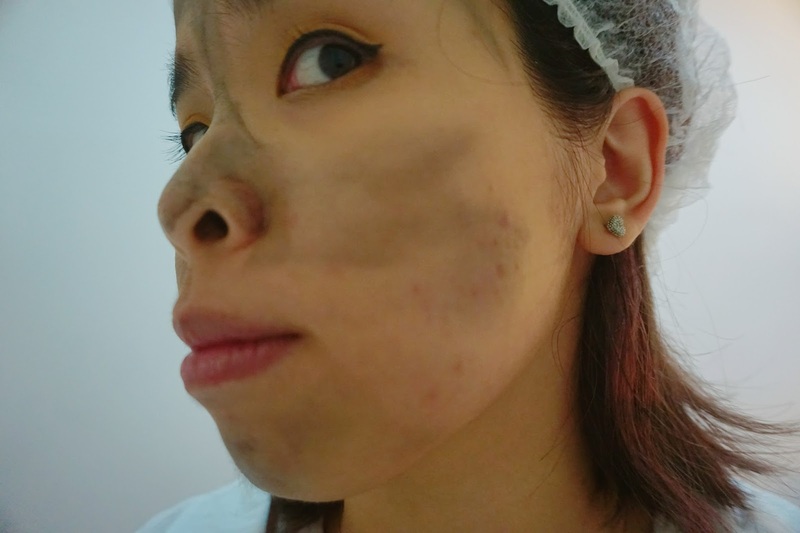 After the laser treatment, make sure to just keep applying face mask on your face for the coming 7 days. As the collagen on your face is still active, your skin will able to maximise absorption and penetrated the essence to your skin. Now with enough hydration on your face, you will have smaller pores and less acne break out too! To maintain the result of clean and smooth skin after the treatment, make sure to apply skin care and moisture your face daily too. If there's hidden acne under your skin, you will also experience acne breakouts few days after the treatment which is totally normal. This is the process of cleaning out all the toxic and impurities on our skin. After this, you will only have glowy, clean and smooth pores skin! I understand that first treatment results will not be accurate therefore I am really excited for more treatment experience with Skin Gym Laser Centre. Results may vary for different skin condition too. For the price list, you may check out their page for more information. Not forget that they always have promotion that you can go and try their laser treatment as well. For more lives update, you may check out my instastory from instagram.com/snowman_1314! *Even though I was invited to review about this service, however it doesn't affect my own opinion on their services. I've ttried their treatments, it's quick and affordable. My wife is a dermatologist and she uses the lasers everyday. She saw this post and was impressed by the progress! Keep it up! The Q-switch is good as I have tried it before. Not pain. I have not tried laser treatment before because of fear. However, seeing how much your skin has improved after treatment and its effectiveness, I am so keen to try!! You should just give it a try! Great result from the laser treatment. It can be help to remove pimples and acne marks. Yes and it was really effective! i can just imagine the sound of the thing.. does it go pap pap pap pap continuously? i don't have courage yet to do laser treatment, haha. Worry if they got side effect to my skin. Ahh you should go for consultation first before you start =) I bet the doctor will give the best recommendation laser to you! nowonder your skin always so mei mei de la!!! walao got big difference before and after! Go go and do it! Ive tried laser before and yes it worked, but however it has made my skin even more sensitive. So i dont really dare to already. Ahh that's really too bad =( Is the power of the laser too strong? Wow! Your skin become great! Seem like this treatment is effective. Try out TROPIKA Face Cleansing Oil! !